Go to the Site Pages tab of the Builder, click on the "gear" icon next to the title of the necessary page. 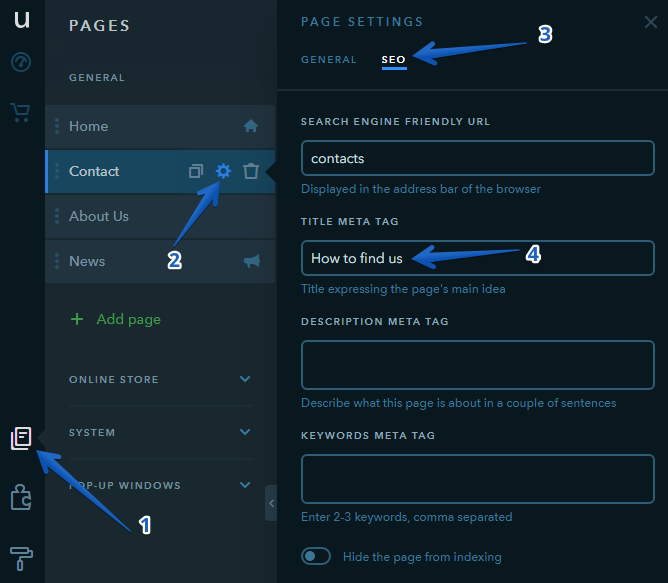 In a window that will appear, click on SEO and fill out the Title Meta Tag field. To save the changes, click anywhere outside the Page Settings window and publish the website. 31 people found this article helpful.